The employer provided us just today 6months salary vouchers as proof of salary and allowance received, but they didnt give my sister the latest month - February 2019 (for the reason it is not available due to printer is broken.) They gave August 2018 to January 2019. She is reapplying this March 4. Refusal ground was about proof of salary received. She is submitting now the 6 months salary vouchers, BIR 2316 Annual Compensation Payment/Tax Withheld, Certificate of Employment and Approved Leave of Absence, and her personal savings account bank statement Dec 2018 to present. 1.Do you think without February salary voucher will affect our second application to Standard Visitor Visa? We are sponsoring her trip to UK. We provided all necessary documents, and there was no question about it. Her ground for refusal is her proof of salary received. The general policy is the cutoff date of the bank statements should be within three months of application/adjudication. In this instance you are fine because your latest financial document is within the three month window. As for how the will evaluate the overall application, nobody knows. Noteworthy is that the only reason for denying this application was the expired financial document. Not the answer you're looking for? 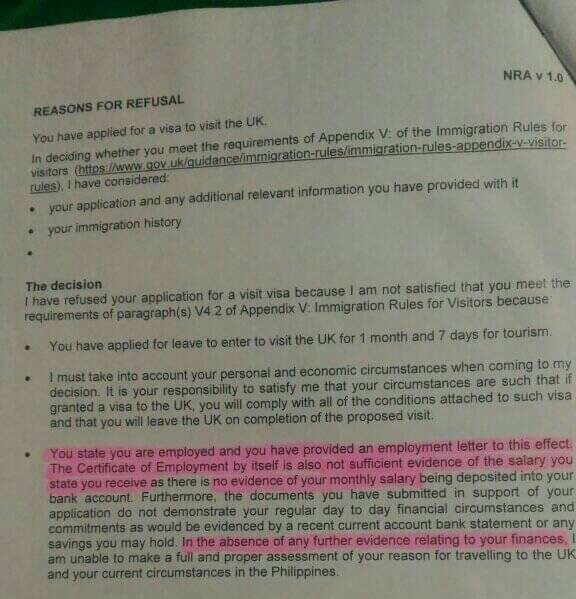 Browse other questions tagged uk visa-refusals standard-visitor-visas philippines or ask your own question. 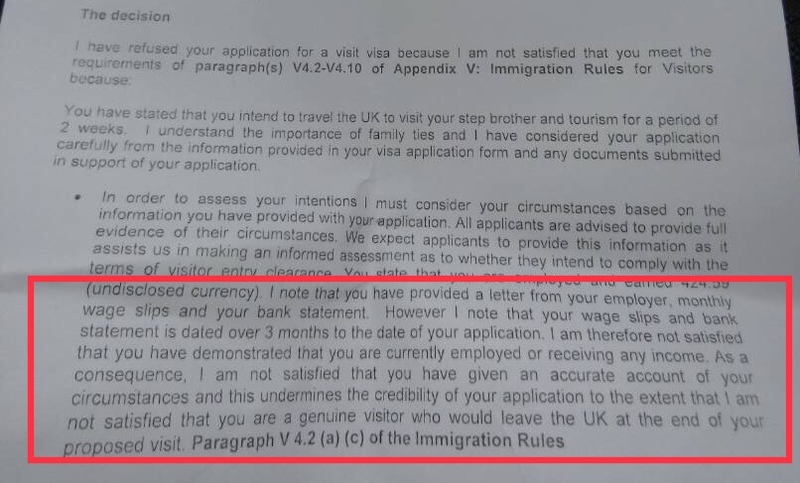 Reapply UK visit visa, can I change some data?